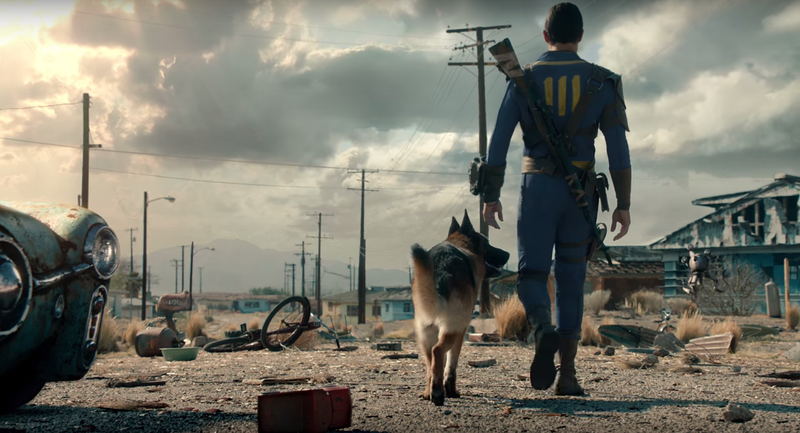 I know I might be missing something really obvious here but I'm confused why they used a picture from Fallout 3 to promote Fallout 4? I was just reading the back of the Fallout 3 case and saw they have the exact same image as what was used to promote Fallout 4, why did they do this? The picture you posted, is that a picture of a Fallout 3 case or Fallout 4 case? Because I'm having a hard time believing it's a Fallout 4 unless it's a special edition that I'm missing out that maybe includes Fallout 3? I don't know. Because the pictures on the side are also Fallout 3. Picture below is from F4. No, it's a Fallout 3 case, as I said. 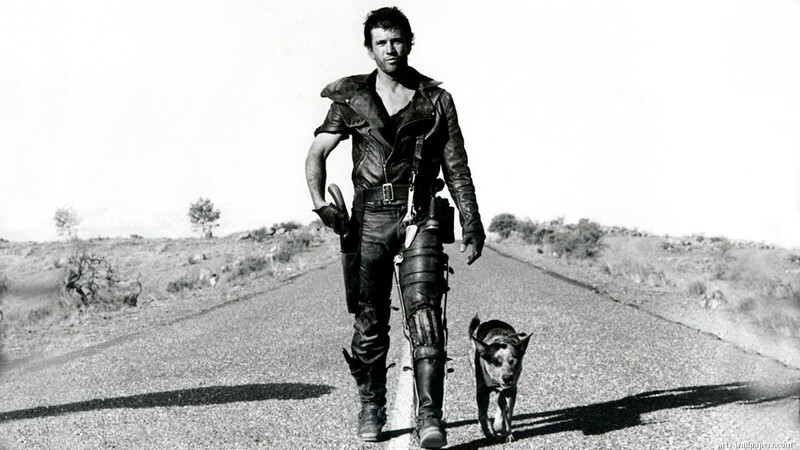 I've definitely seen that exact image promoting Fallout 4. 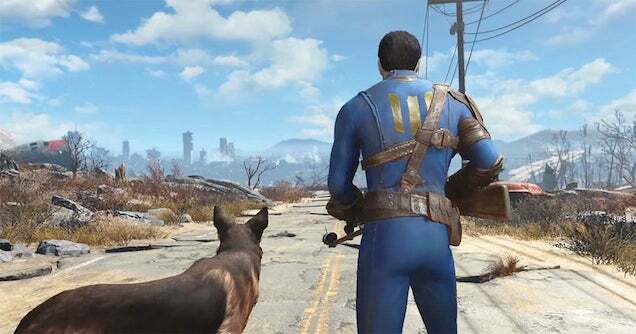 I just googled 'Fallout 4 promo' too and saw it again in the Google image search. Are you perhaps talking about any of these images? The first image is from the Trailer if i am not mistaken, the last few seconds of it. And the second image is actually from a live action trailer. All found by typing Fallout 4 promo into google. No, look. This is one from Google. It's the ecaxt same image. Well, i would'nt have a clue why they would fotoshop F4 onto a F3 image. Yes but it wasn't just IGN. As I said, I have seen it everywhere. The IGN one is just a random one that I clicked on to show here. I feel like no one is listening to me, I've had to repeat myself so many times on this site in the last few days. I miss the old AJSA. Hey, im sorry, but, i thought you where confused about Bethesda using the same type of scene they used in F3, to F4. Because, i personally haven't seen that image being used anywhere to promote F4 honestly!
" 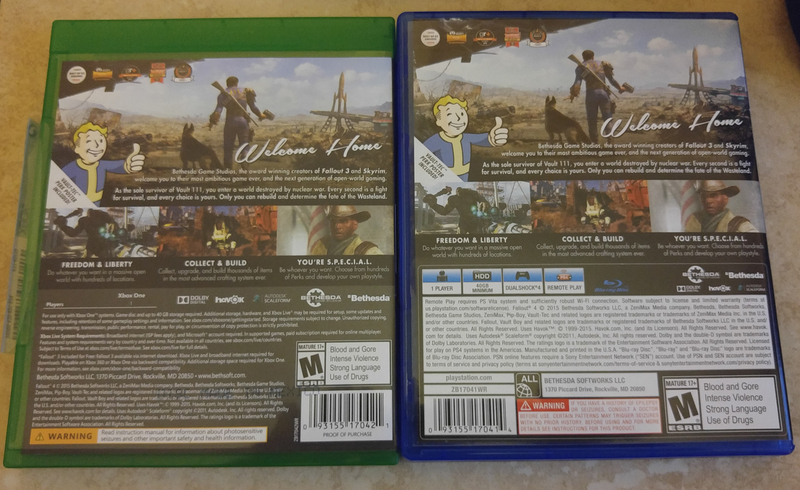 I was just reading the back of the Fallout 3 case and saw they have the exact same image as what was used to promote Fallout 4, why did they do this? " I simply thought you where referring to the image i linked above with the lone survivor and dogmeat going into a similar position as the F3 image. Or that the F4 game case uses a similar position as well. 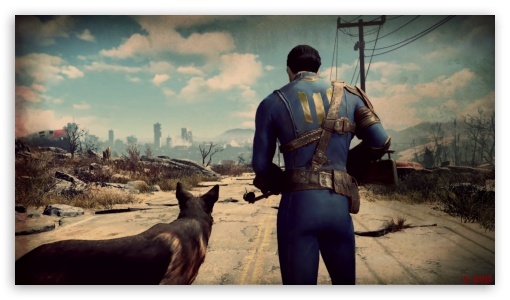 But to answer your question the best i can; The Fallout 3 image might have been used in early video's and articles as to when Fallout 4 was first announced, lots of content creators use old images that are Photoshopped to make hype or something. For example, Everyone wants a new Fable right? (No) So the fans then use old images, make them shiney or put them on the web with "FABLE 4" Photoshopped onto the image to make there video or article better in a way. Speculation videos on youtube use this method sometimes. In your case when you looked up fallout 4 promo, it could be very likely your search results came up with images or old articles with the F3 promo image slapped and shopped with the "F4" slapped onto it, or perhaps it may even have been used raw. The image you put above from F3, where it says in big "FALLOUT 4" can't possibly be made by the devs or anyone in charge, just look at the "4". But that is just one example. But i personally have never seen Bethesda use that exact same image of (F3) to promote Fallout 4, unless of-course, you can prove me otherwise. But i can perfectly understand why other media outlets would use an old image. especially during announcement time, to promote there content on the matter. I see, thanks for your answer. Yeah, I don't remember where I saw that image, I just remember it was being posted everywhere when people were talking about Fallout 4 being released. Like on Facebook etc.